The Florida Legislature and Governor put the final signatures on its tax package (HB 7109) that includes a sales and use tax exemption for property and equipment and electricity for qualifying data centers. With this legislation, Florida becomes the 27th state to have data center tax exemptions and is one of only four states to exempt data center electricity purchases from sales and use taxes. 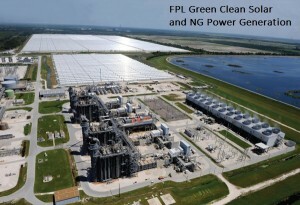 At least 1 megawatt of power capacity dedicated to each individual owner and tenant of the data center. The achievement of this milestone is exciting and the tax exemption improves Florida’s ability to compete for large-scale data center projects or data center campus developments. Behind the scenes there are a number of organizations working together on some unique development opportunities with uncommon power resiliency characteristics. Drop us a note at info (at) wiredre (dot) com if you’d like to learn more. You can find the Florida bill (HB 7109) by clicking here, with the data center language starting on line 1299.